Soil acidity is a limiting factor to crop production all over the world. The efficient use of soil fertility and water for sustainable long term crop production require lime and gypsum input. Agricultural lime contains carbonates, calcium and magnesium. The carbonates are responsible for neutralizing soil acidity and increasing soil pH. Calcium ions add a valuable nutrient. Gypsum does not contain carbonates and therefore does not increase pH but adds two important nutrients: calcium and sulfur. Applying micronized MICRONA™ products when needed gives a very favorable return on investment. How much to use varies by crop, soil types and condition, by region and the liming material you choose. Your soil analytical report can include a liming recommendation and information about soil available calcium levels. To find the correct amount of MICRONA needed, consult with your crop advisor or call our agronomist for more information. “Micronized to Maximize” stands for the researched and proven effectiveness of our products’ fine mineral particles. 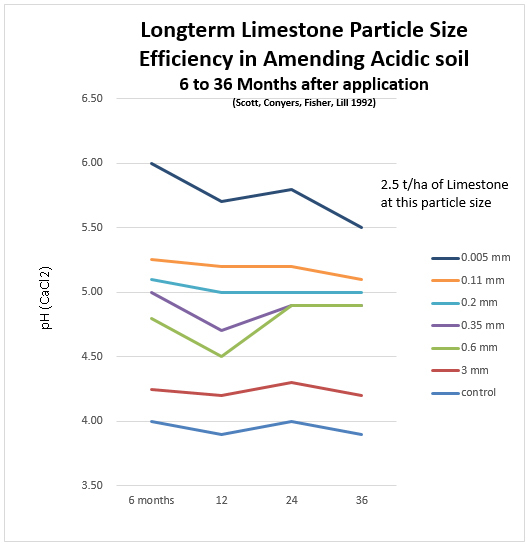 Micronized particles produce effective increases of pH and available calcium and sulfur nutrients in a wide range of soils compared to standard minerals. Micronized lime and gypsum particles are high efficient minerals. Table 1. 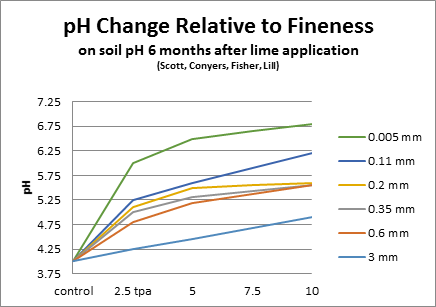 Example of pH increase of coarse vs. fine limestone particles. 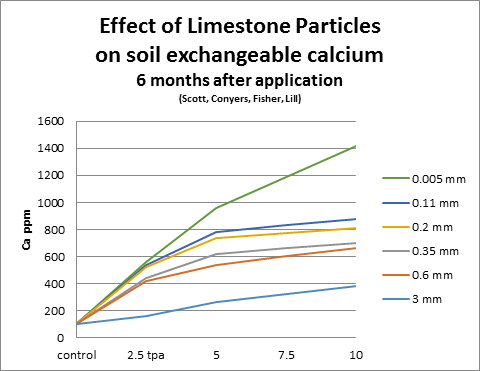 Table 2: Example of calcium availability, comparing coarse to fine limestone particles. But is fine limestone used up faster in soil compared to coarse particles? No, it is proven to remain efficient over time.